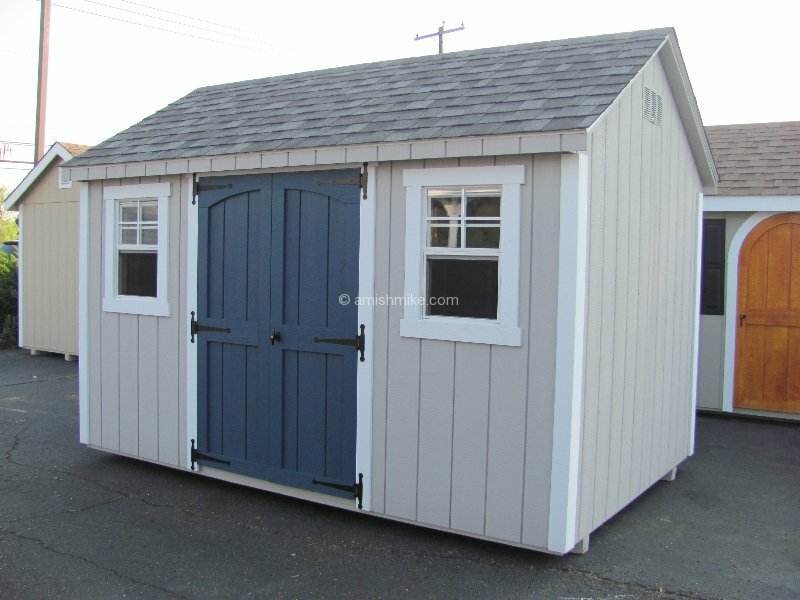 An extremely popular design with a steeper roof pitch than the A-Frame, the Cape Cod has 6’ 6” sidewalls and a 7” roof pitch. 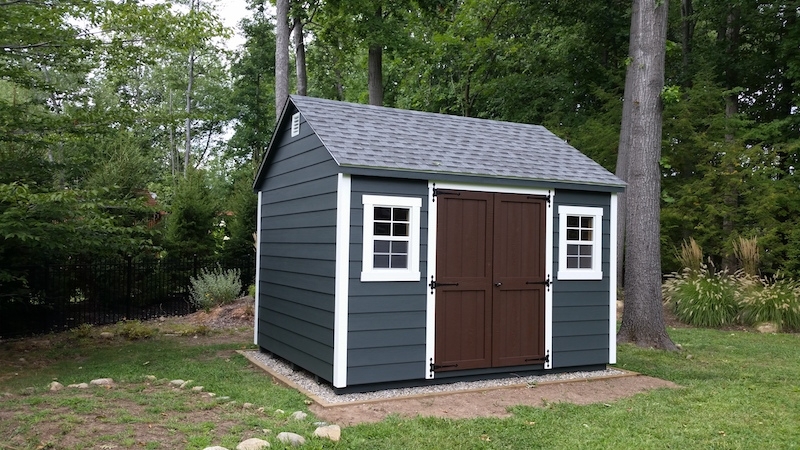 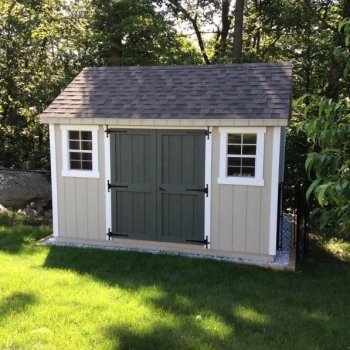 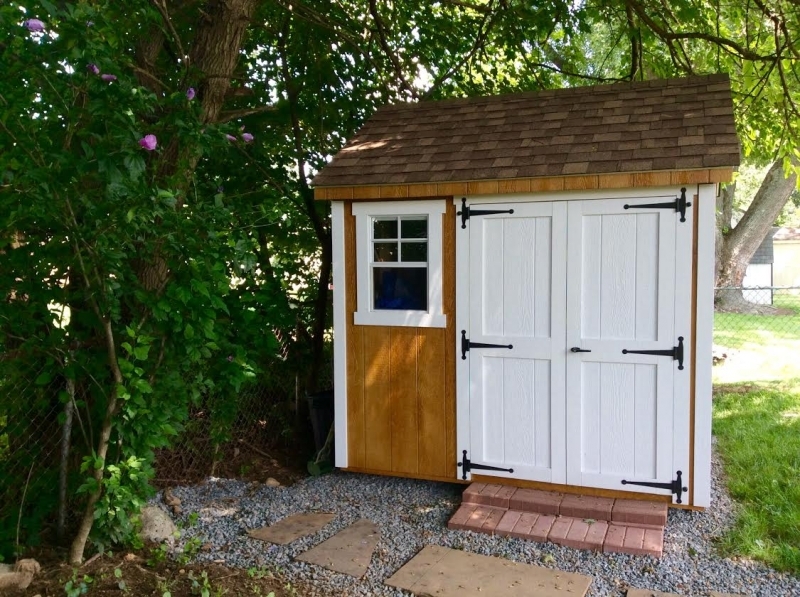 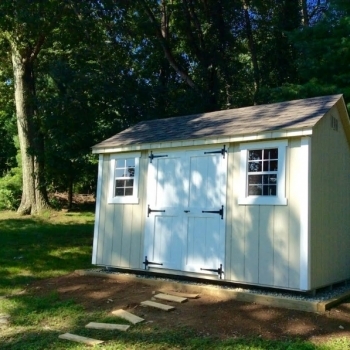 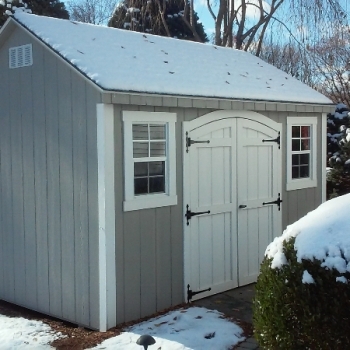 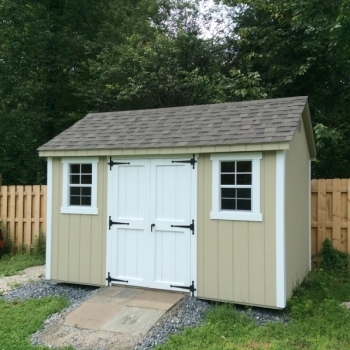 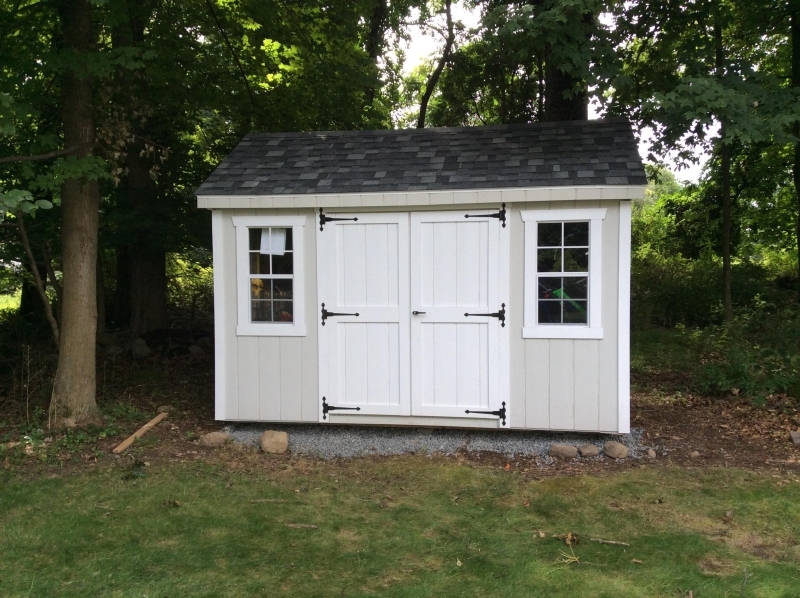 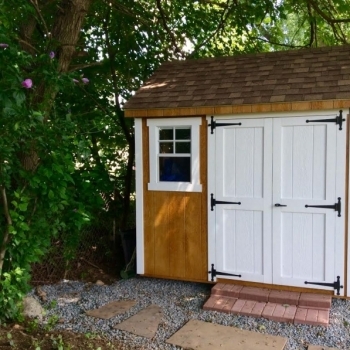 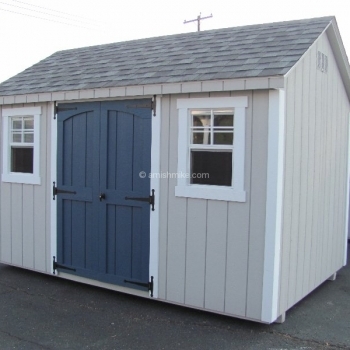 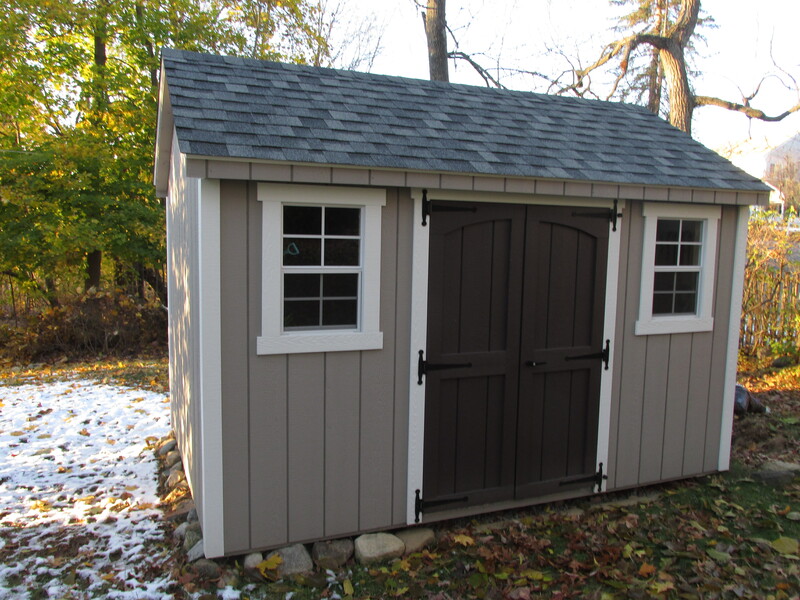 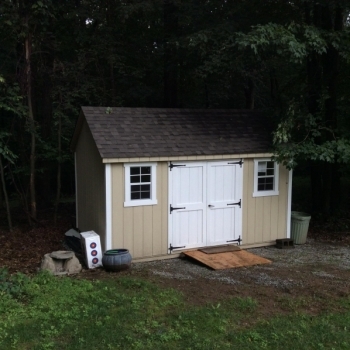 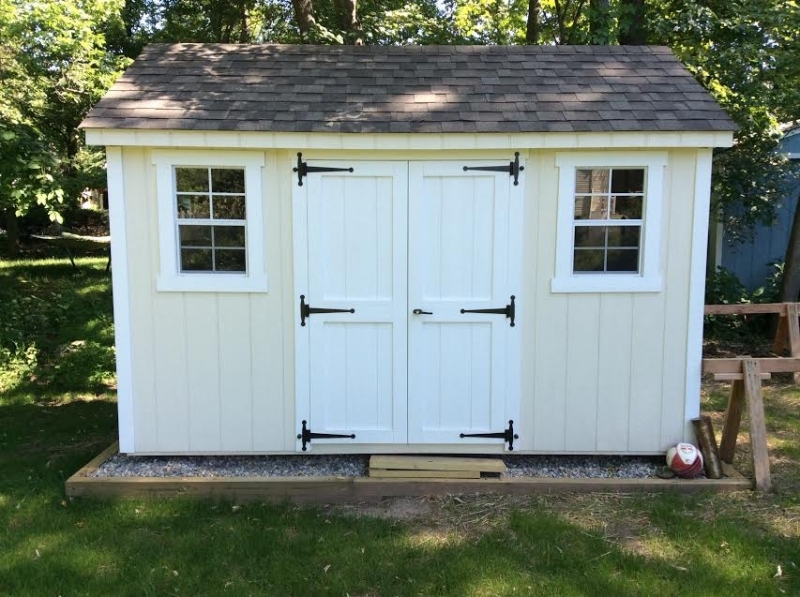 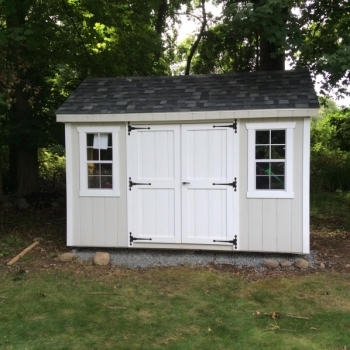 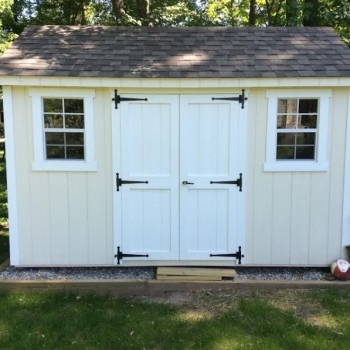 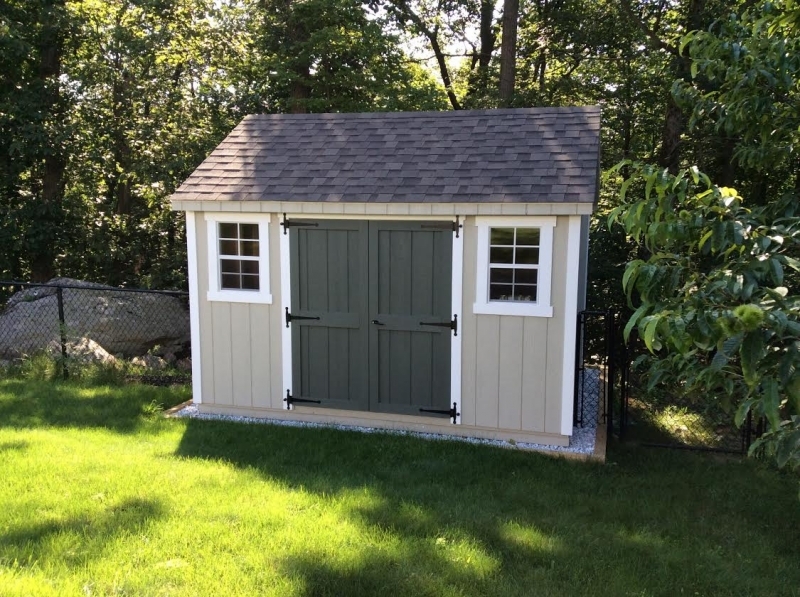 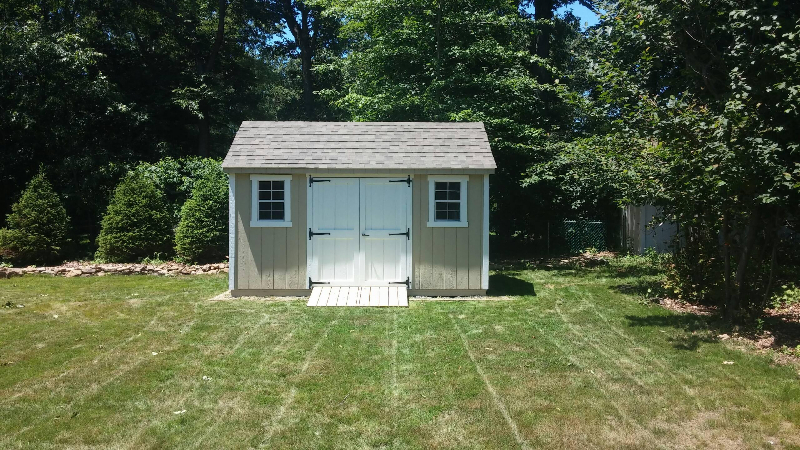 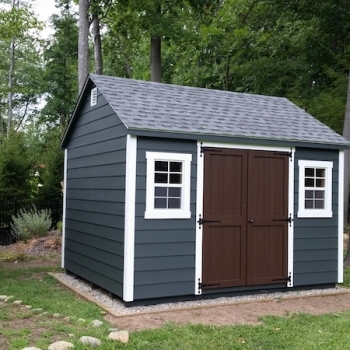 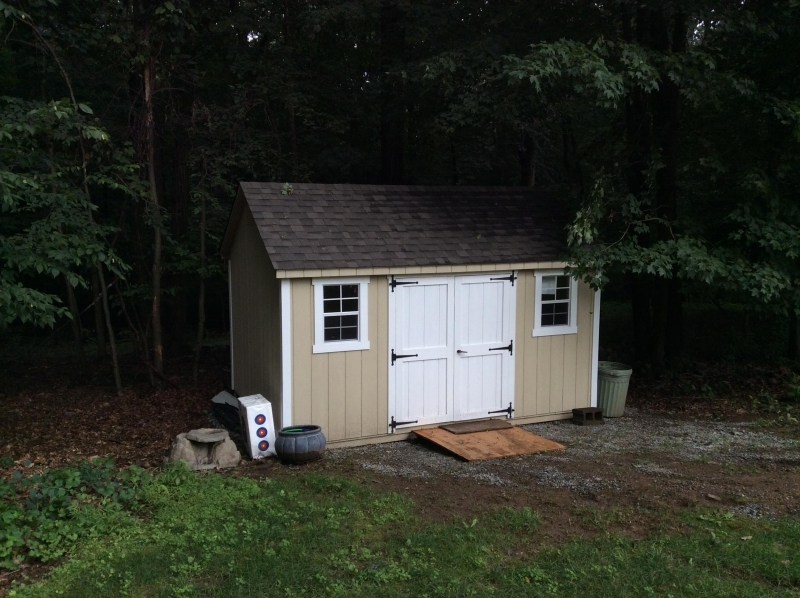 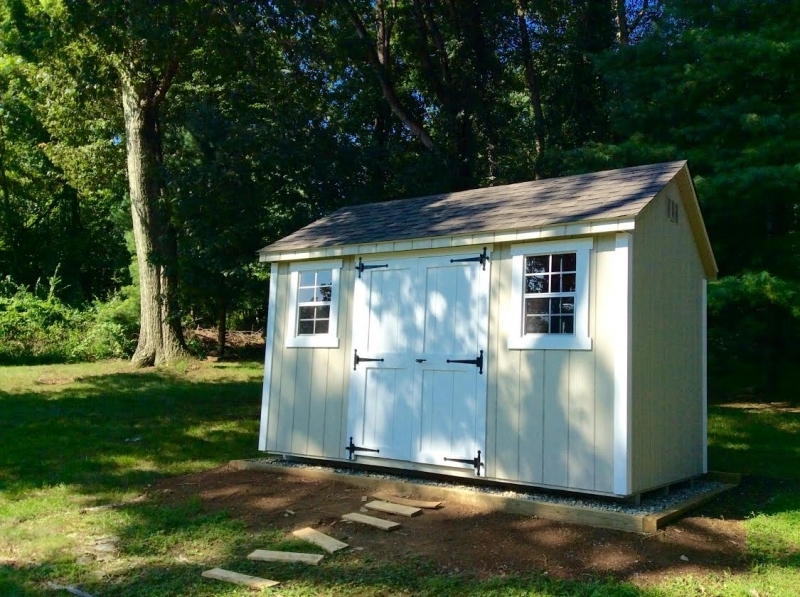 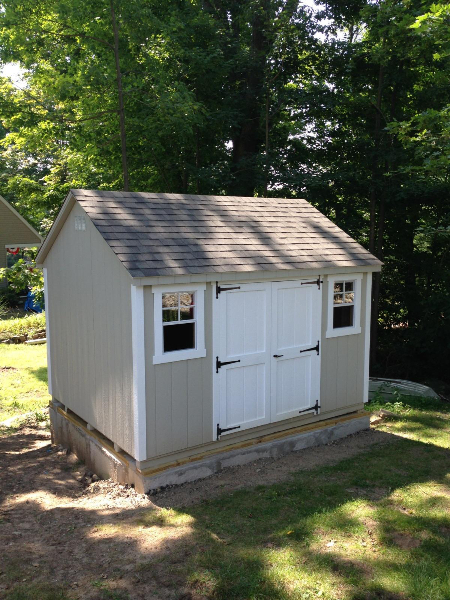 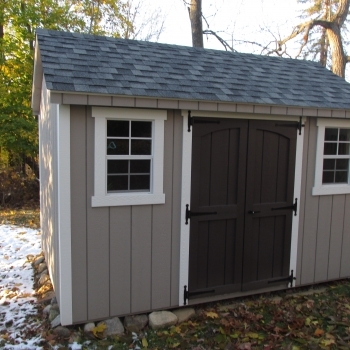 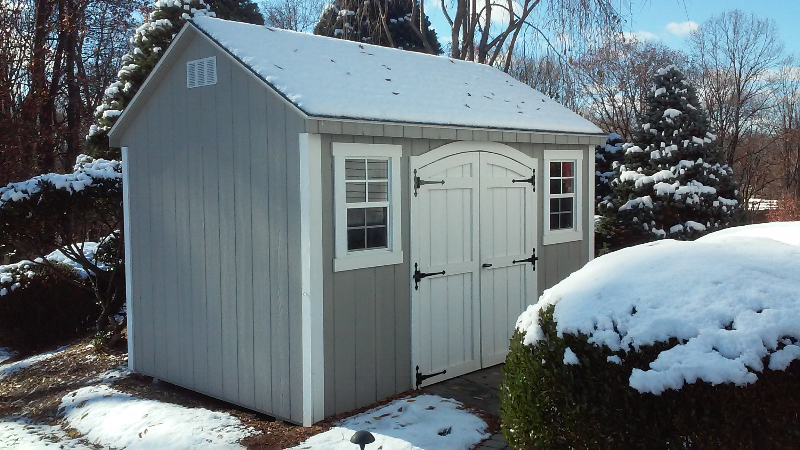 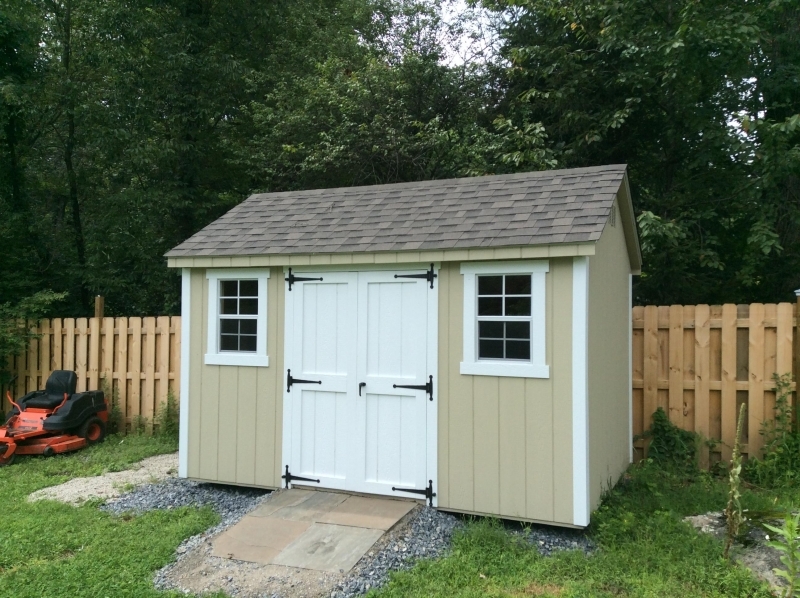 Cape Cods come standard with 1 or 2 windows, based on shed size, and a set of double doors placed to order. 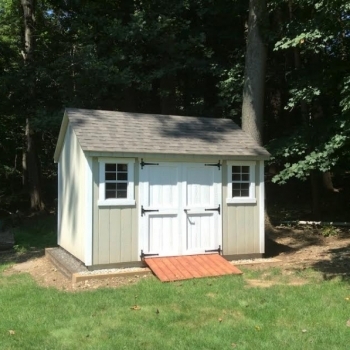 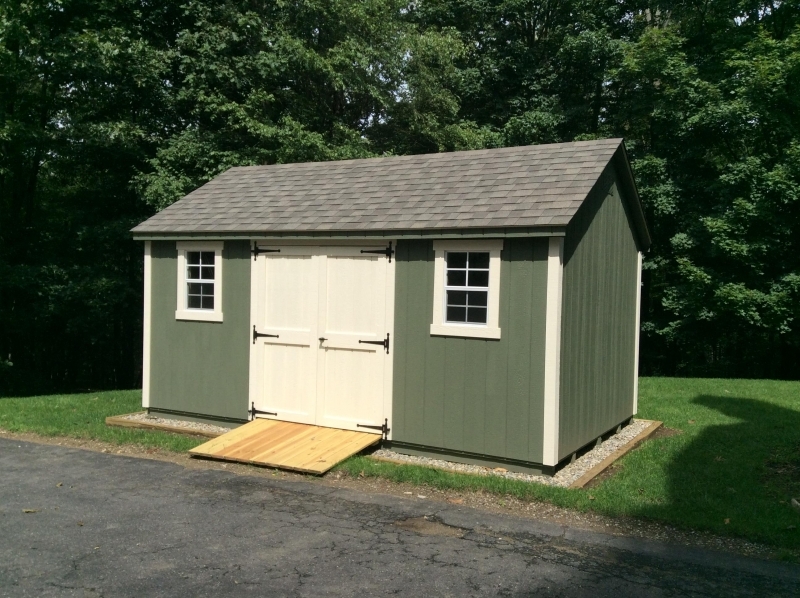 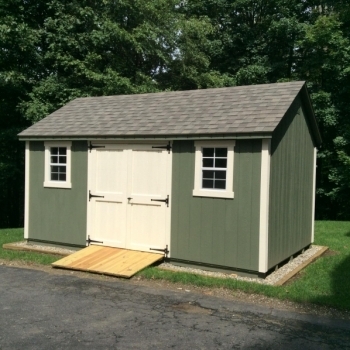 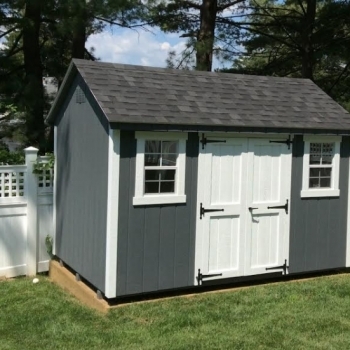 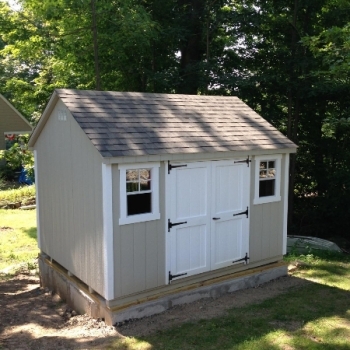 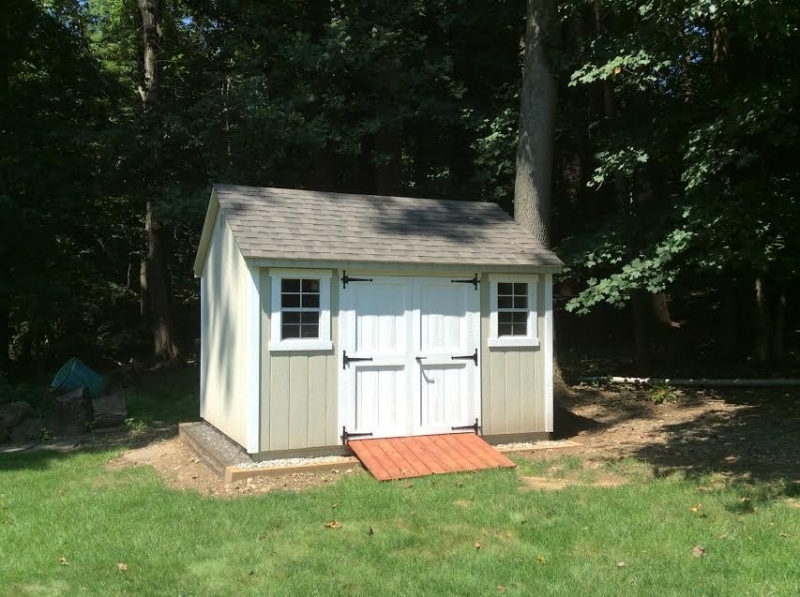 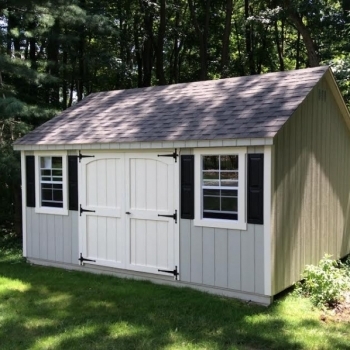 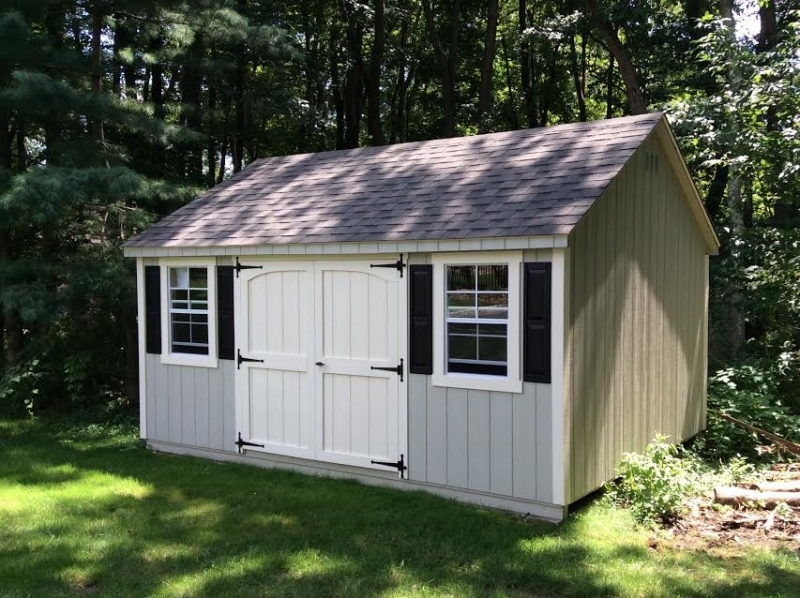 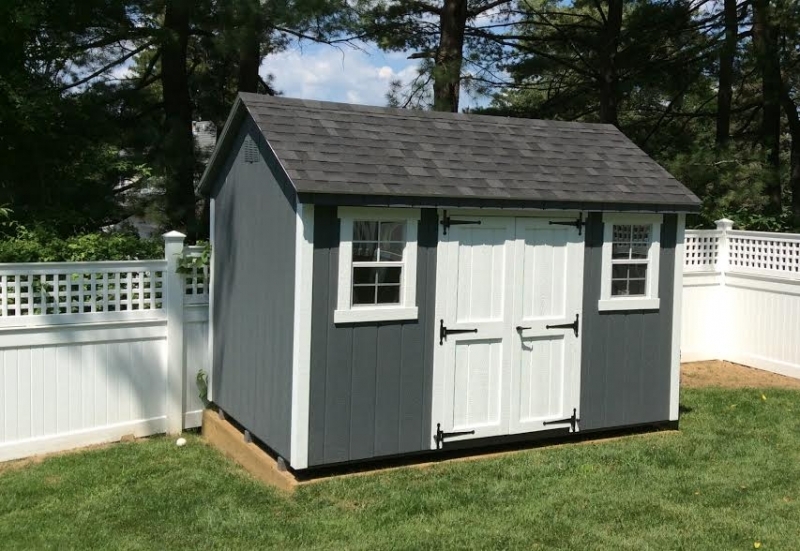 The Cape Cod offers plenty of headroom allowing the addition of a loft for maximum storage space. 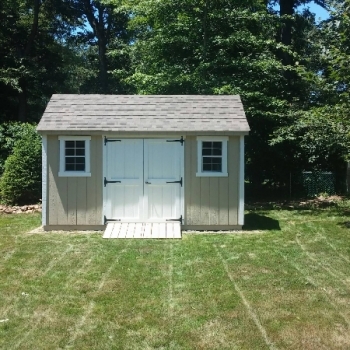 Cape Cods are available in the Traditional, Deluxe, and New England Series trim lines.